The Ikea Rast dresser is super cheap but a bit of a Plain Jane. That is until you make her over with one of these amazing Ikea Rast hack ideas! To keep your home running smoothly you need as much storage as you can get, but it can be so expensive to buy stylish pieces. 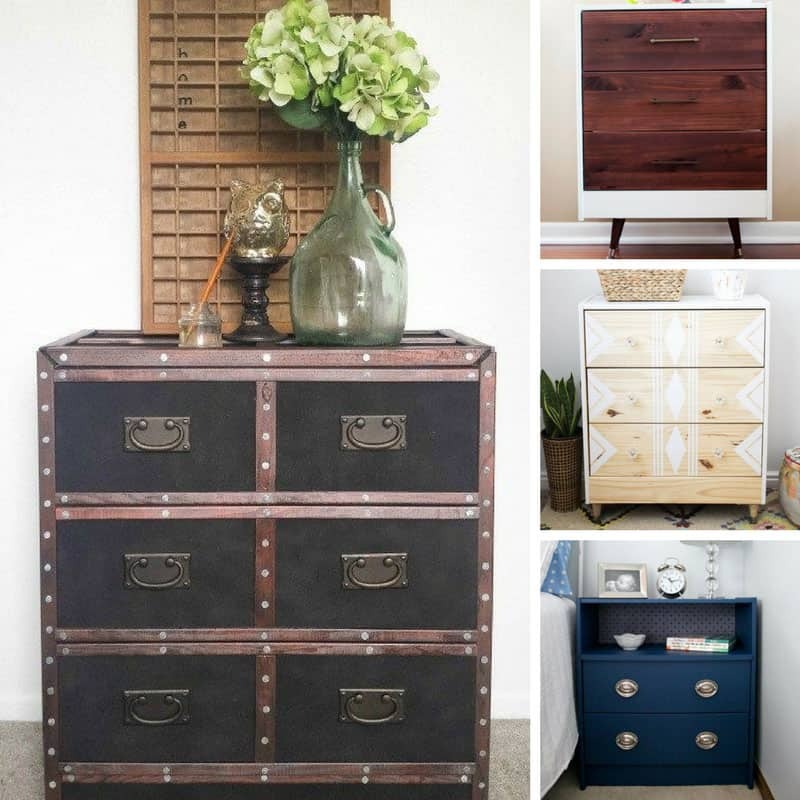 And that’s why today we’re sharing 41 mind boggling ways you can take the simple Ikea Rast dresser and hack it into something totally amazing! I found everything from nightstands and media consoles to a vegetable storage cabinet and even a wardrobe! As always be sure to scroll all the way to the end so you don’t miss any of the inspiring hacks. And don’t forget to save your favourites to Pinterest as you go! 18 Amazing KURA Bed Hacks to Turn a Boring Bed into Something Special! Grab your Mod Podge and decorate it with wrapping paper! Turn it into a wardrobe… seriously! Make it look like a stack of suitcases! Give it a Mid Century Modern look your friends will drool over! Add hooks and castors and your Rast dresser becomes a rolling craft cart! Turn it into a super stylish apothecary – total transformation! Hack that Rast into a fabulous desk! Turn your Rast dresser into a dog bed! Make it look like an old fashioned Brownie box camera! Previous PostPrevious 29 DIY Table Runner Projects to Turn Your Table into a Show Stopper!